RUSSIA - VATICAN Patriarch of Moscow thanks Vatican for "balanced position on the crisis in Ukraine"
Patriarch of Moscow thanks Vatican for "balanced position on the crisis in Ukraine"
However Kirill unsparingly attacks the Greek-Catholic church, claiming it is "too politicized" and "supporters of anti-Russian positions". "Relations with the Holy See demonstrate positive dynamics." Moscow (AsiaNews / Agencies) - The Patriarch of Moscow and All Russia, Kirill, has once again launched a searing criticism of the Greek-Catholic Church in Ukraine, while also for the first time thanking the Vatican for the balanced approach to the crisis in the former Soviet republic. "Today, fresh conflicts in Ukraine in light of the latest political events in the country are causing concern in our relations with the Roman Catholic Church," the Patriarch said quoted by Interfax. Starting with the very first protests in Kiev at the end of 2013, the Ukrainian Greek Catholic Church supported one side, "which pushed for the overthrow of the authorities using nationalistic and often Russophobic slogans as its cover" Kirill denounced, adding that the leadership of the Ukrainian Greek Catholic Church and most of its representatives "made extremely politicized statements, which did not help end the civil confrontation ". At the same time, the primate of the Orthodox Church wanted, however, to note "with satisfaction" that the Holy See " the Holy See itself has always pursued a balanced stance toward the situation in Ukraine and has avoided any lop-sided assessments, but has called for peace talks and an end to armed clashes". 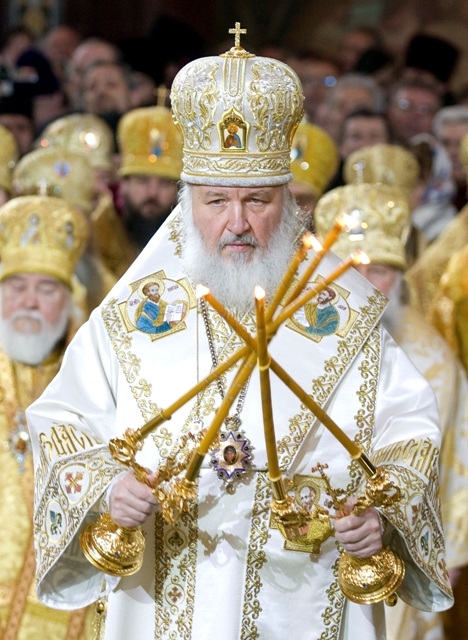 Kirill then made an assessment of the current relations with the Vatican, which he said "demonstrate positive dynamics, primarily thanks to their clear understanding of the need for Orthodox and Catholic believers to act jointly in order to protect traditional Christian values and counter modern challenges such as secularism, discrimination of Christians, family crisis and the dilution of moral principles in private and social life"
At the height of the Ukrainian crisis, leaders in the Moscow Patriarchate frequently attacked the positions of the Greek-Catholic Church claiming they supported the Maidan protests in Kiev and to promote anti-Russian sentiment. The major archbishop of Kiev, Sviatoslav Shevchuk, has often rejected these claims appealing for reconciliation and that Moscow also recognize the dignity of the Ukrainian people and thus open a sincere dialogue based on truth, inviting them not to believe the "propaganda" from Russia.